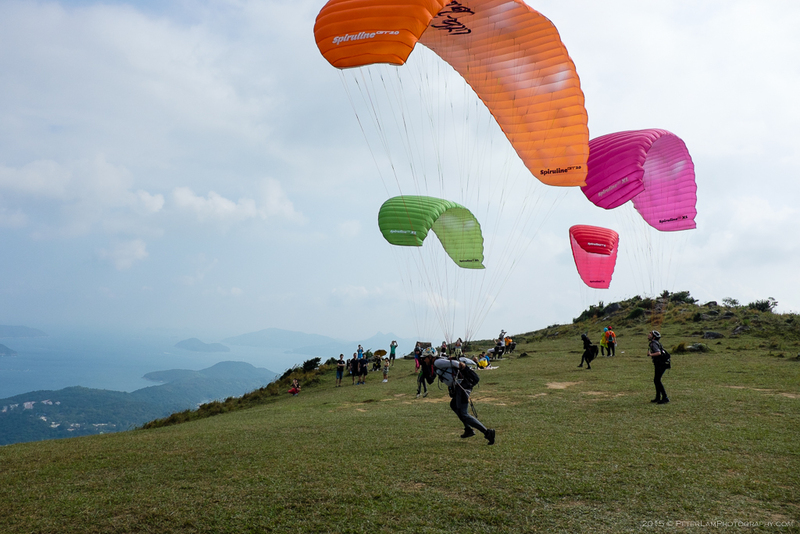 Pyramid Hill (大金鐘) is a prominent feature of Ma On Shan County Park. 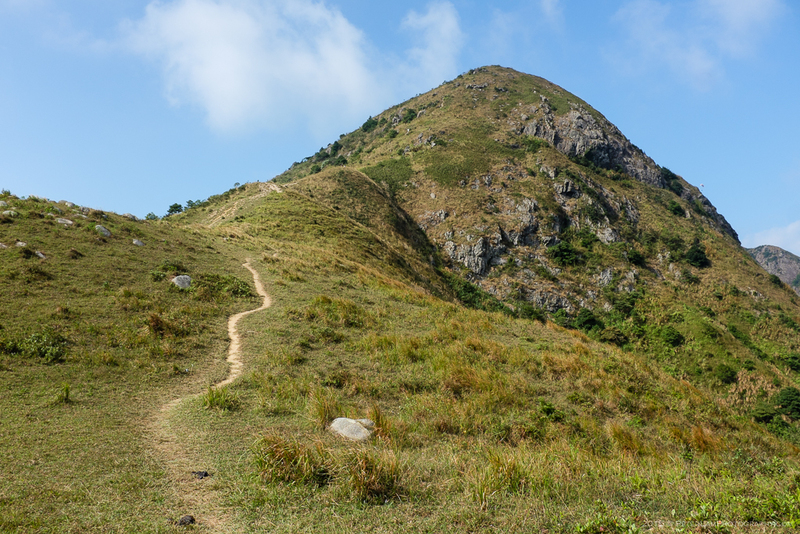 Located in the eastern New Territories, it is a conical mountain with a 536 meter summit. 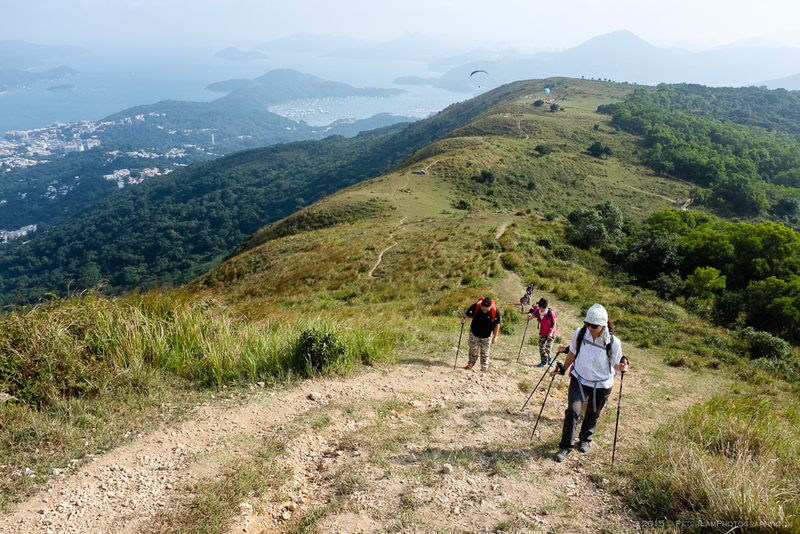 A relatively easy climb is rewarded with sweeping views of Sai Kung peninsula below. 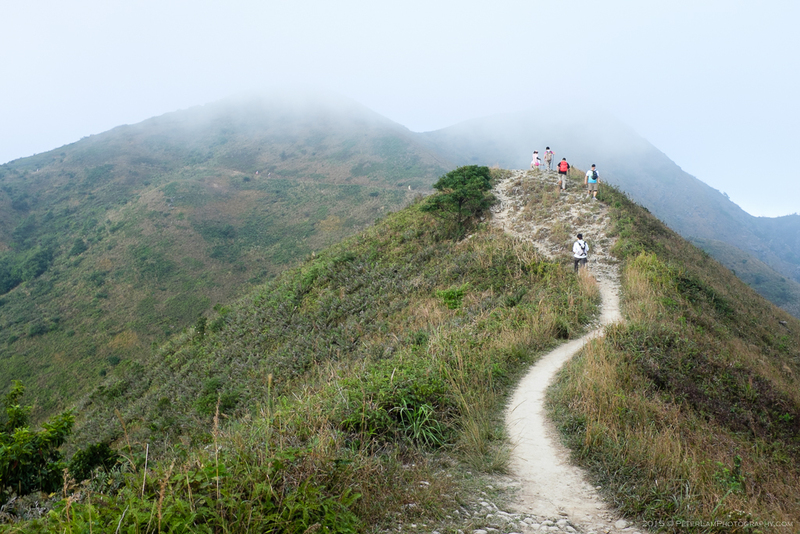 We approach the hill from its southern face via the Ngong Ping plateau, reached after a short hike on the Ma On Shan Country Trail. 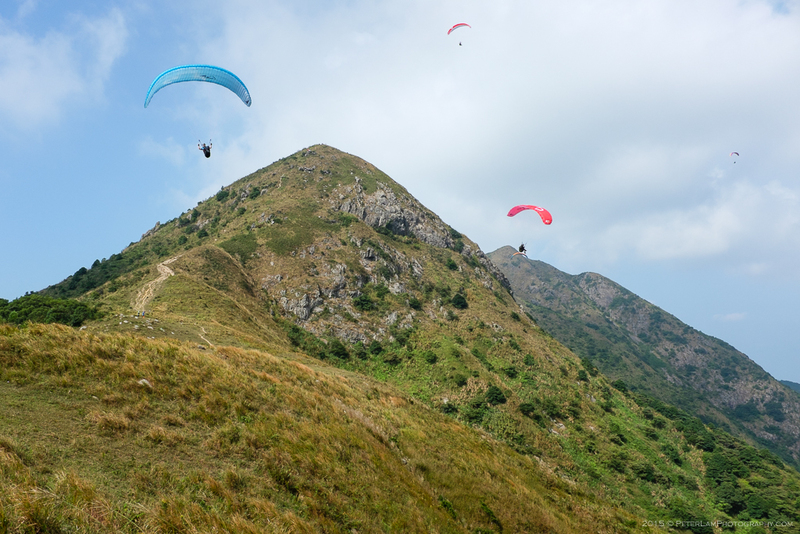 Here you’ll find an official park campground (which, unfortunately, is dotted with cow patties from the local feral cattle) as well as a launching area for paragliders. Starting off on Ma On Shan Country Trail towards Ngong Ping. 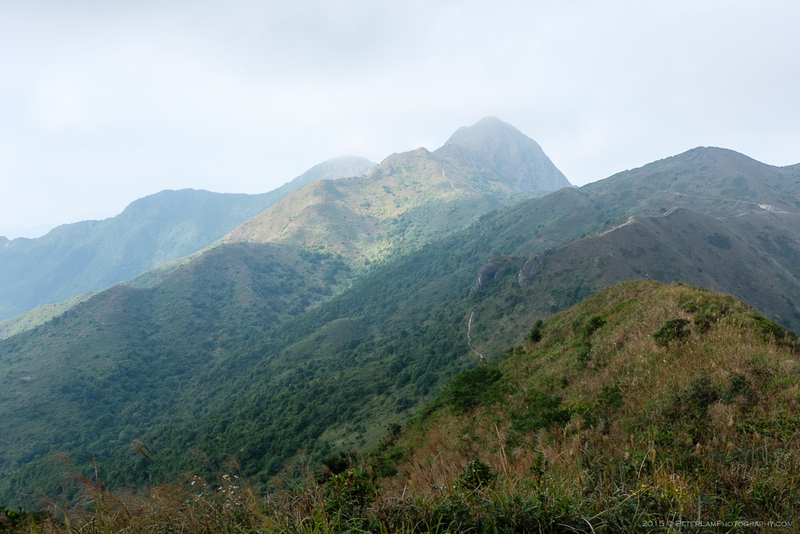 View of Pyramid Hill from the Ngong Ping plateau (not to be confused with Ngong Ping on Lantau Island). 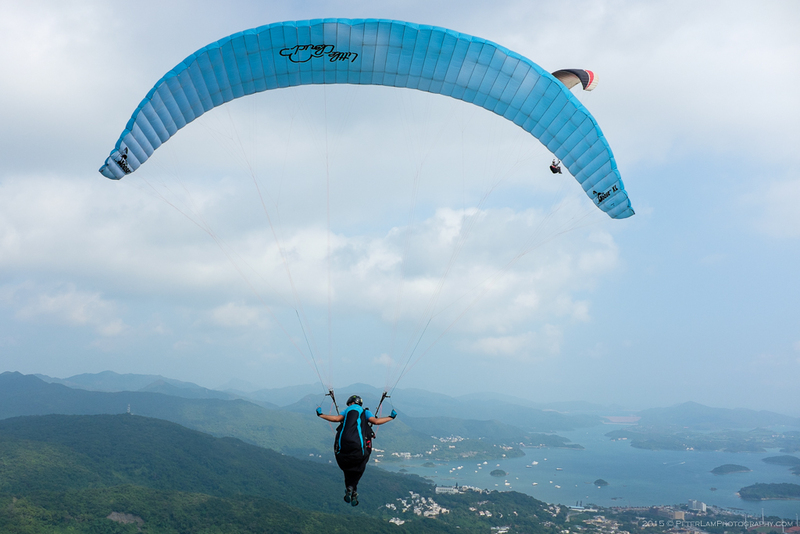 Paraglider riding the warm winds. What freedom! The launch and landing area for the gliders. Returning to the task at hand, we begin the climb up Pyramid Hill. Some sections were quite steep, requiring the use of our hands to navigate the rocky trail. 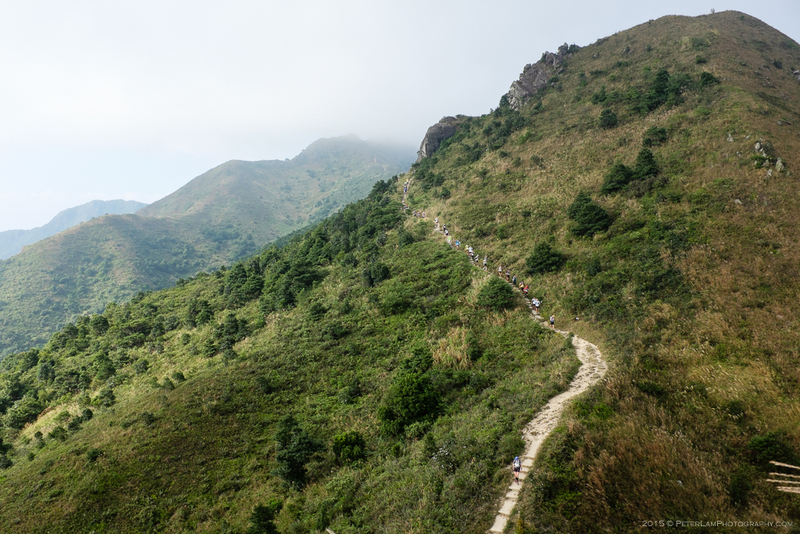 There was also a bit of downhill traffic as other hikers were descending the mountain. 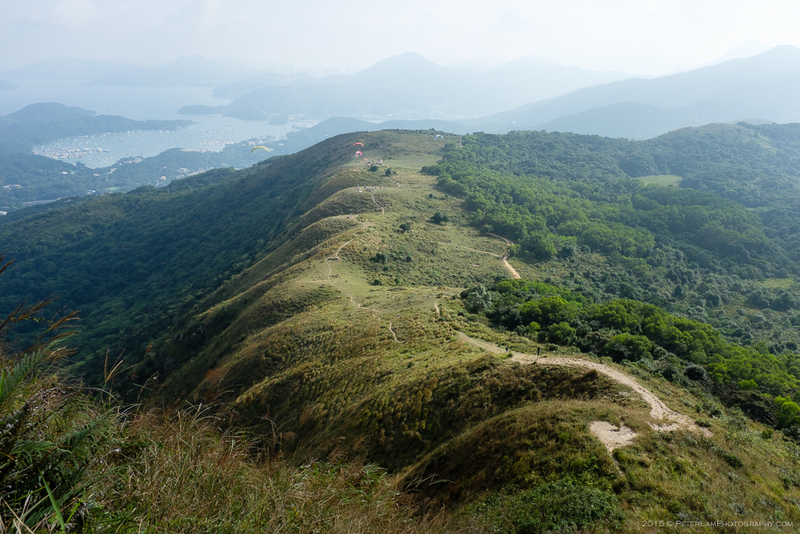 Once at the peak, there’s a great view of the plateau and Sai Kung town below. The single route up the south side of Pyramid Hill. 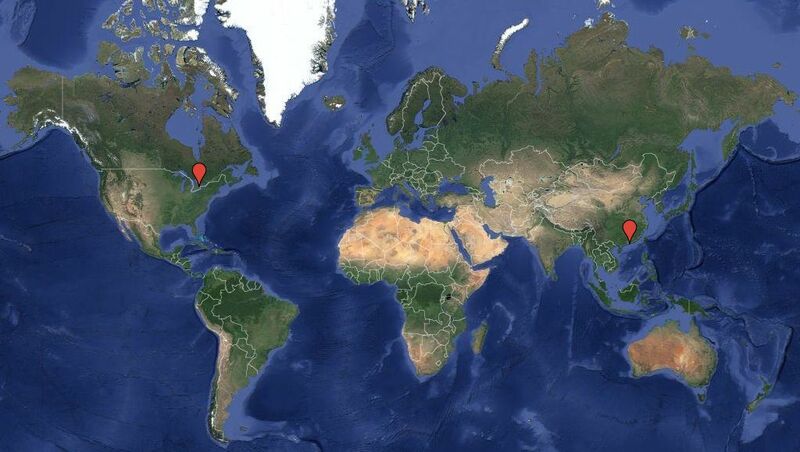 The path starts off on a gradual slope but soon becomes quite steep. 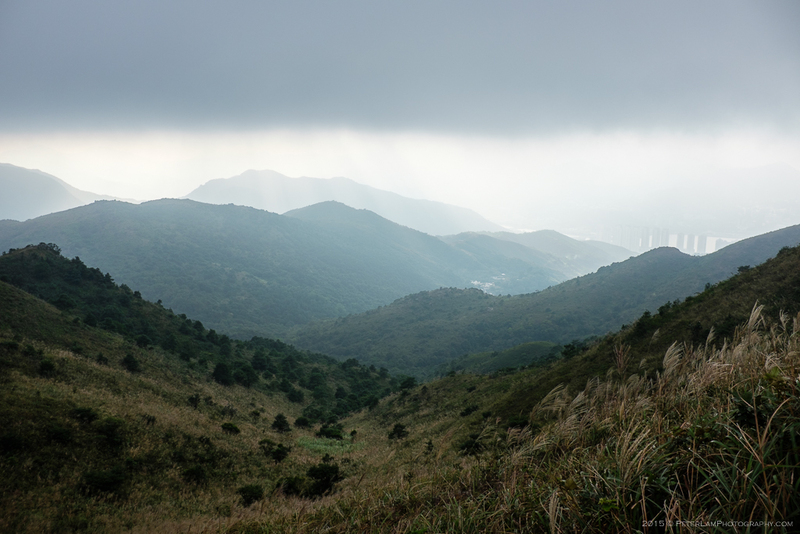 Half way up the hill, a view of Ngong Ping plateau. Viewed from the peak, Ma On Shan mountain and the Hunchbacks beyond. A sweeping view of Sai Kung town and peninsula below. 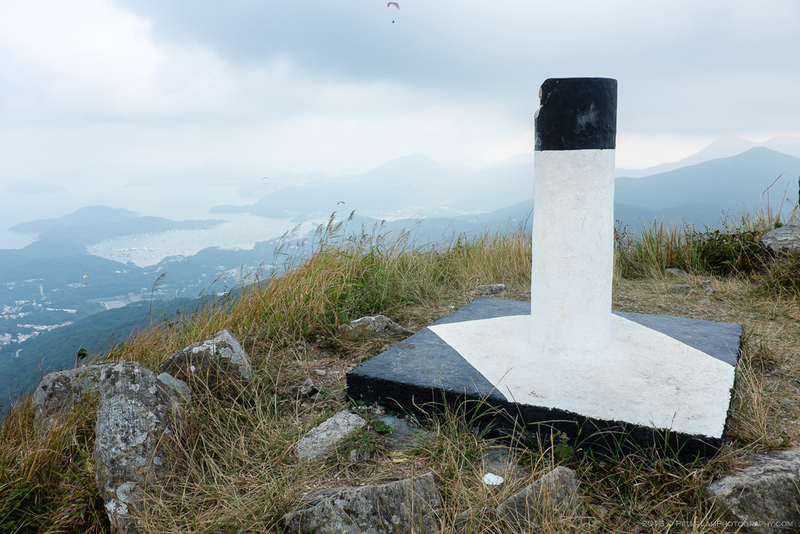 The ubiquitous pillar at many of Hong Kong’s peaks, this one Pyramid Hill. 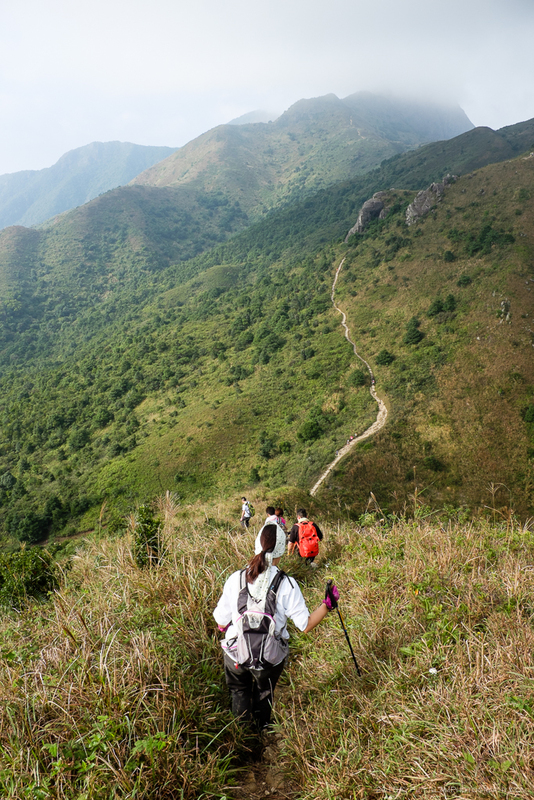 We descend via the northern ridge where the trail joins Maclehose Section 4, leading us towards Ma On Shan mountain. A competitive event was being held, so a seemingly endless stream of runners were on the trail. The weather was also beginning to shift with heavy clouds moving in. 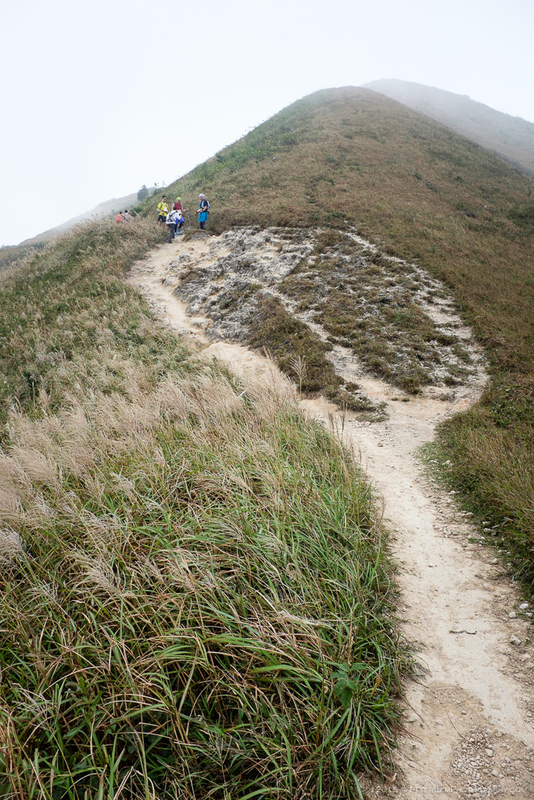 Descending the northern face towards Maclehose Trail Section 4. A long line of runners greet us on the trail. Looking back at Pyramid Hill, it’s clear to see how it got its name. 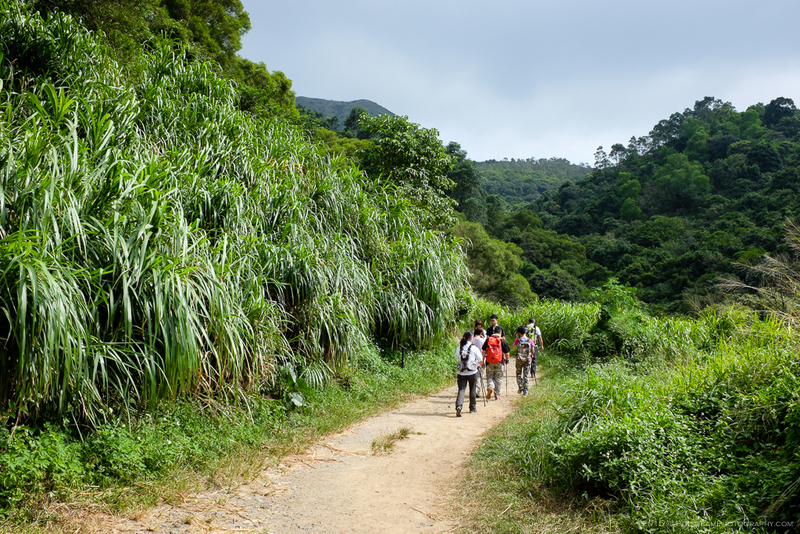 Taking a break just before the trail turns east towards Sai Kung. Interesting pattern on this section of trail. Looking east towards Sha Tin and Tolo Harbour beyond.